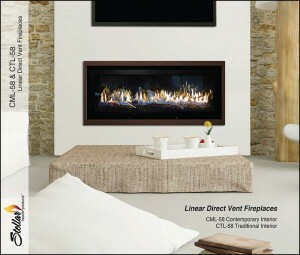 Video 1: Shows the CML-58 with optional glass log set, mirrored firebox panels and glass media. Video 2: Shows the CML-58 with the optional glass media and mirrored firebox panels. Video 3: Shows the CML-58 with standard black interior and glass media only. Video 4: Shows the CML-58 with the optional glass log set and glass media. Have It Your Way! 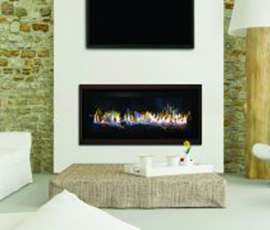 We’ve made the CML-58 direct vent fireplace easy to customize to your taste, starting with the standard basic black interior then build upon it with the optional reflective glass media, glass log set or mirrored firebox walls. Whatever combination you choose, all create amazing effects within the firebox.